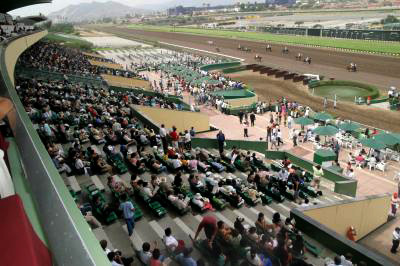 Seeking to globalize an already strong local racing operation, and to expand the slate of products offered to bettors, the Jockey Club del Perú – operator of the Hipódromo de Monterrico in Lima as well as a network of 85+ off-track betting shops located throughout Peru – selected Sportech to help update and simplify operations and to gain access to the world’s pari-mutuel pools. 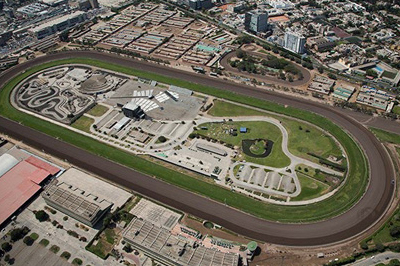 The Jockey Club del Perú was a Sportech customer for decades operating an on-track solution for pari-mutuel wagering that they had purchased years earlier. Seeking to both upgrade their systems and gain access to global pari-mutuel wagering pools, they selected Sportech Racing and Digital to move from the local system to Sportech’s global powerhouse Quantum System for pari-mutuel wagering technology. With this upgrade, The Jockey Club del Perú also elected to use the services of Sportech’s Quantum Data Center in New Jersey to provide day-to-day wagering services. In 2014, with the opening of the World Cup in Brazil, The Jockey Club del Perú began offering a new betting opportunity for horse racing fans to enjoy – betting options for one, four, six and ten games of the World Cup. As with the horse racing wagers, these football (soccer) bets were pari-mutuel pools and offered through the Sportech Quantum System and operated from the Quantum Data Center. With Sportech’s Quantum System betting software and the services delivered from the Sportech Quantum Data Center, Jockey Club del Perú has been able to expand the slate of wagering products their fans can enjoy and expand their presence in the international wagering marketplace. Look for more developments from the Hipódromo de Monterrico as it continues to evolve their technology platforms and their services for racing fans in Peru.